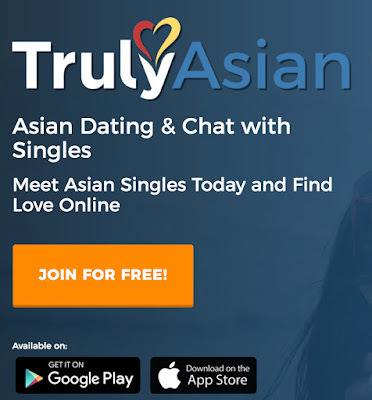 TrulyAsian.com is a dating website aimed mostly at men looking for an Asian girlfriend or wife. What is the concept of TrulyAsian? 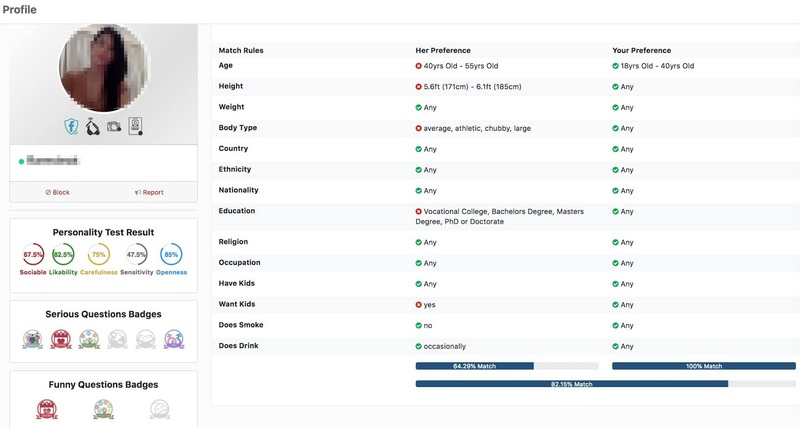 Unlike location-based dating apps (like Tinder), TrulyAsian allows you to fill a complete profile, along with a detailed personality test. This allows you to focus on your personality instead of your appearance. This also means that the website is more suitable for those looking for a long-term relationship. The girls you will chat with may not be located near you so it will take some time before you can meet them in real. They know that and they understand it, which is rarely the case on the other dating apps. In those, you are often ignored if you live far away and can’t meet them immediately. What kind of guy could be interested with TrulyAsian? - Guys who are currently not living in Asia but who are interested to meet with an Asian girl. What are the best features of TrulyAsian? Compared to its competitors, TrulyAsian has some very interesting features. As you can see, I get to know exactly what this girl is looking for and what my chances are to interest her. 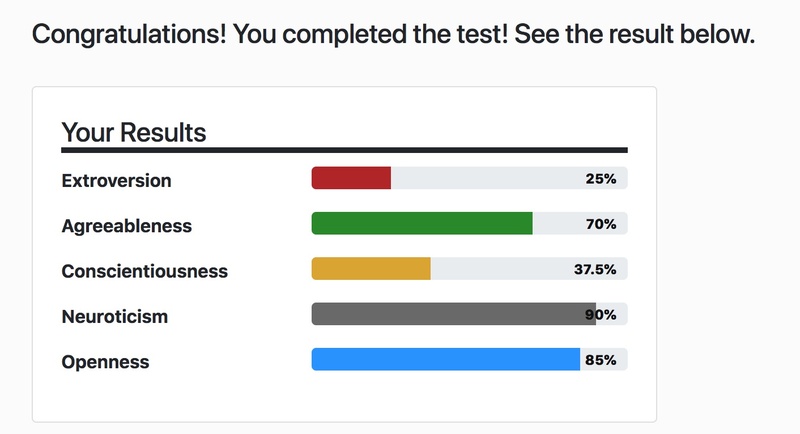 Above, the match percentage is 64.29%, which is average. Another feature I like is the personality test. It gives you the opportunity to know more about the character of the girl you are talking to: Is she an extrovert/introvert? Is she open-minded/conservative? Is she organized/messy? Etc. If you are not familiar with psychology, don’t worry as there are explanations available for members. You can also search for specific persons based on criteria like age, country of residence, body type, religion and ethnicity. You don’t have to fill each criterion, but only the ones you care about. If the girl you want to talk to is not an English-speaker, you will love this tool. Each user can just click on “Translate” under each message, and it will automatically translate it into English (or any other language you want). This feature, only for members, allows you to make a video call with a girl. This is a perfect way to check if the pictures and the profile are real. You can see the detailed list of their features here: TrulyAsian Features. Most of the features are free of charge, even though some are premium (unlimited messaging, incognito mode, detailed personality tests, translation, video calls, etc.). A premium offer will cost you a reasonable 2.95USD for the first 7 days, which is enough time to decide whether you want to become a monthly subscriber. How are the girls on TrulyAsian? First of all, like any other dating site, be aware that there are some scammers. Typically, they will have beautiful photos, they will message you first and they will ask you to move to another app (like Kik, or Skype, or another site). If they do, just report them immediately. I had two “fake” profiles talking to me like that and the webmasters removed their account within 5 minutes. As long as you stay smart, you won’t be bothered. The fact is, there are thousands of real girls available, a majority of which are Filipinas and Indonesian. Many of the ones I talked to are from the middle-class, usually employees, and they want to get married to a foreigner. There are many reasons for that: They can be divorcees, single moms, or simply independent women interested to live abroad and to improve their conditions. None was looking to hook-up or for a one-night stand. If you are looking to meet an Asian girl for a serious relationship, you may want to try TrulyAsian. I advise you to take the 7-day subscription for $2.95 as a starter, to test the site’s features and to see if you fancy any of the members. No Comment to " Review of TrulyAsian Dating Site (Sponsored Post) "